On 13th December, the Bishop of Durham, the Rt Revd Paul Butler, received two written answers from the Foreign and Commonwealth Office to questions about the President of Burundi. 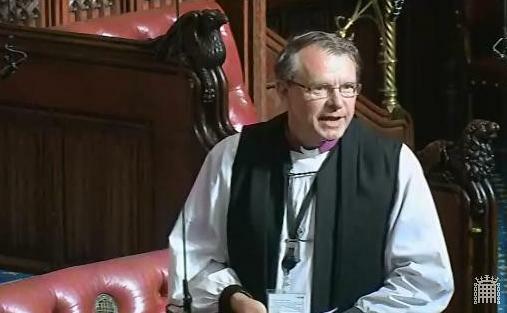 The Lord Bishop of Durham To ask Her Majesty’s Government what assessment they have made of the security situation in Burundi in the light of the recent attack on presidential aide, Willy Nyamitwe. Baroness Anelay of St Johns We condemn the attack on Willy Nyamitwe and the subsequent death of his bodyguard. The attack demonstrates the persistence of a climate of violence in Burundi, but it is too early to assess the effect of the attack on the wider security situation in Burundi. We remain in close contact with staff at the British Embassy Office in Bujumbura. The situation in Burundi remains grave, despite claims by the Burundian Government that it has normalised. The overall security situation has improved since its low point in December 2015, with a reduction in night-time police raids and attacks by the opposition. However, this has been replaced by increased, systematic government oppression. There is compelling evidence from a range of local and international monitors, including the United Nations, that extrajudicial killings, disappearances, torture and arbitrary arrests continue. Opposition supporters, human rights activists and journalists are actively targeted by the Burundian national intelligence service and the ruling party’s youth wing (the Imbonerakure). Fear of the Imbonerakure is a key factor behind the flight of refugees outside Burundi. The Lord Bishop of Durham To ask Her Majesty’s Government when they last met, and when they next plan to meet, President Nkurunziza of Burundi. Baroness Anelay of St Johns Senior UK officials, including our High Commissioner in Rwanda (who is also our non-resident Ambassador to Burundi) met with President Nkurunziza twice in 2015 during visits of the United Nations Security Council to Burundi. During the course of these meetings a broad range of issues was discussed, including human rights, security and the importance of maintaining the principles of the 2000 Arusha Agreement, including the protection of minorities in Burundi. Since then President Nkurunziza’s has largely withdrawn from engagement with the international community. This highlights the self-imposed isolation that is reducing the likelihood of finding a consensual solution to the ongoing crisis in Burundi. In December 2015 the former Parliamentary Under-Secretary of State for Foreign and Commonwealth Affairs (James Duddridge) met with Foreign Minister Nyamitwe in Burundi, as did our non-resident Ambassador to Burundi in July 2016. Our officials take part in regular consultations with Foreign Minister Nyamitwe alongside other EU member states pursuant to Article 96 of the African, Caribbean and Pacific Group of States (ACP)-EU Partnership Agreement (also known as the Cotonou Agreement) of 2000, most recently in October 2016. Burundi’s increasing self-imposed international isolation is particularly worrying. Our non-Resident Ambassador to Burundi and officials regularly request meetings with President Nkurunziza and will continue to do so, but given the self-imposed isolation they are increasingly difficult to secure.